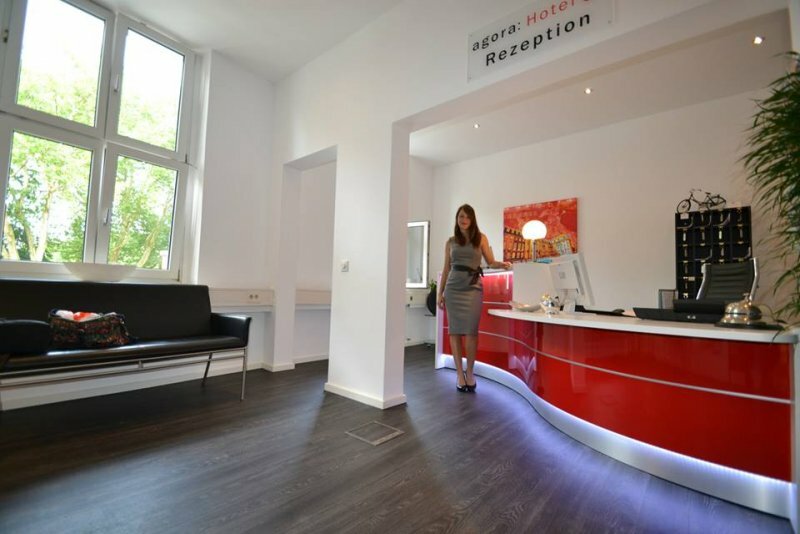 The agora Hotel is in the middle of Münster near the old town. 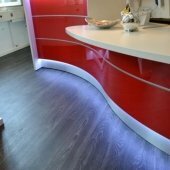 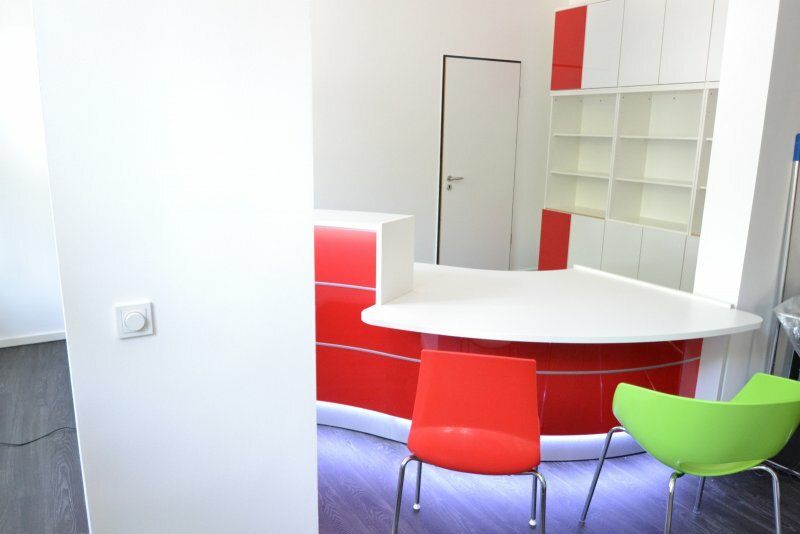 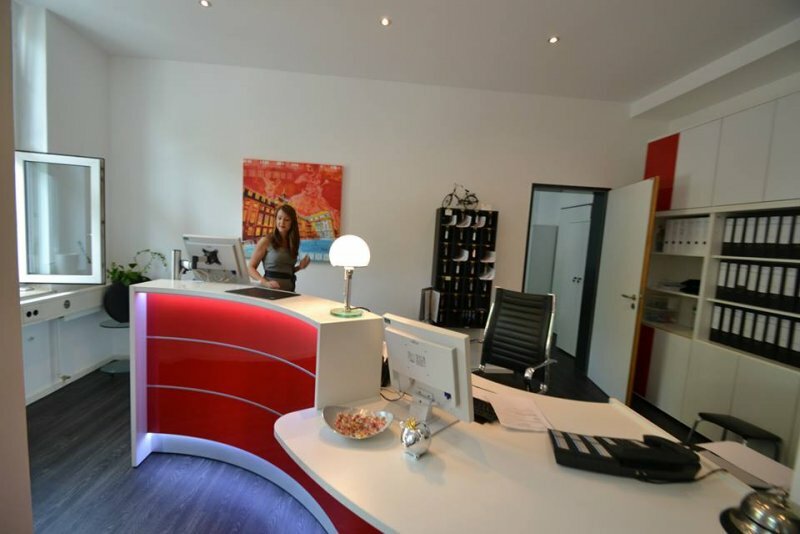 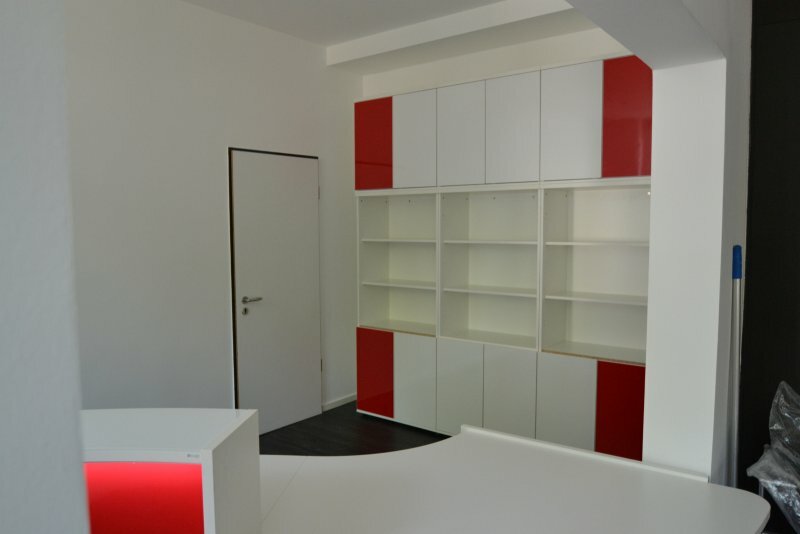 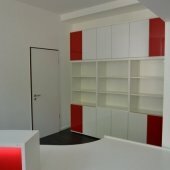 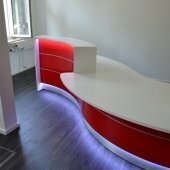 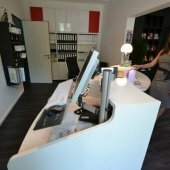 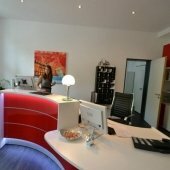 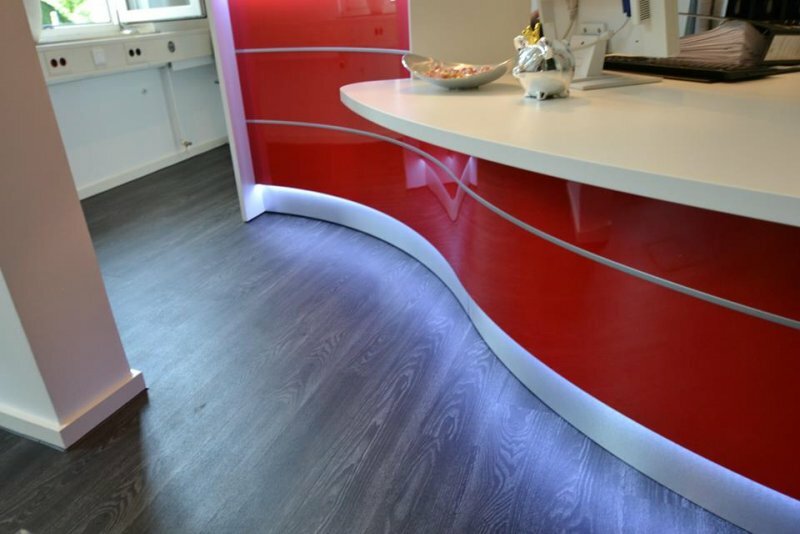 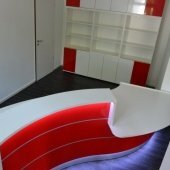 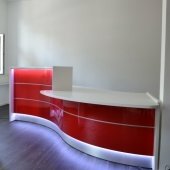 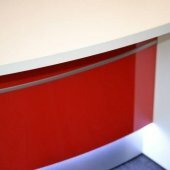 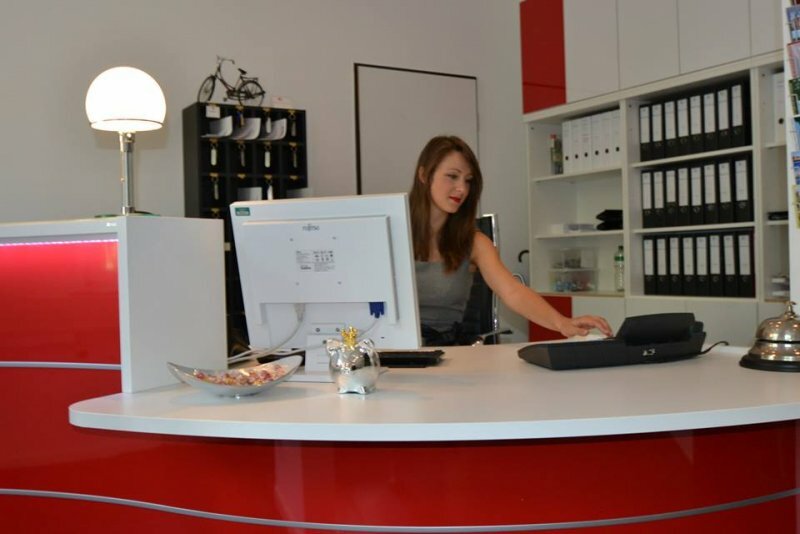 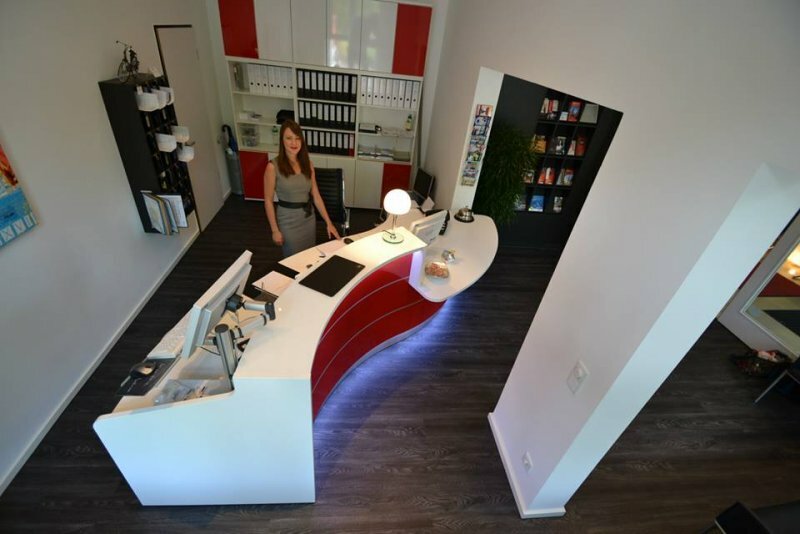 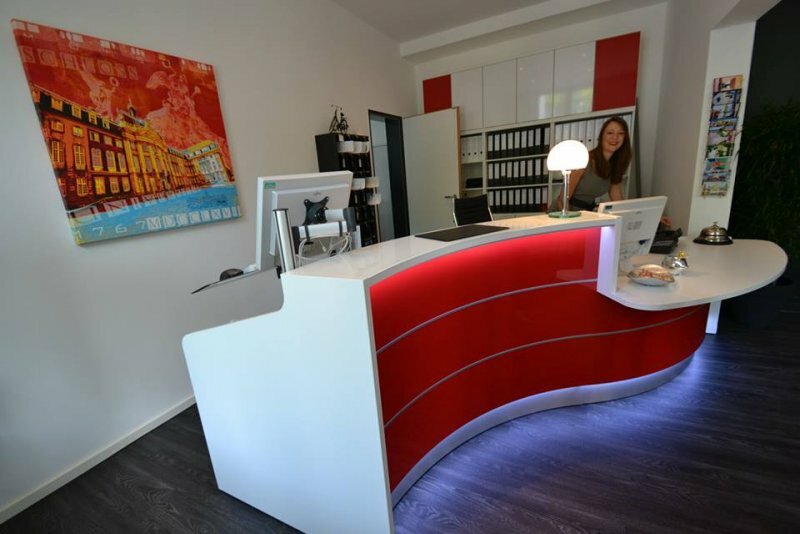 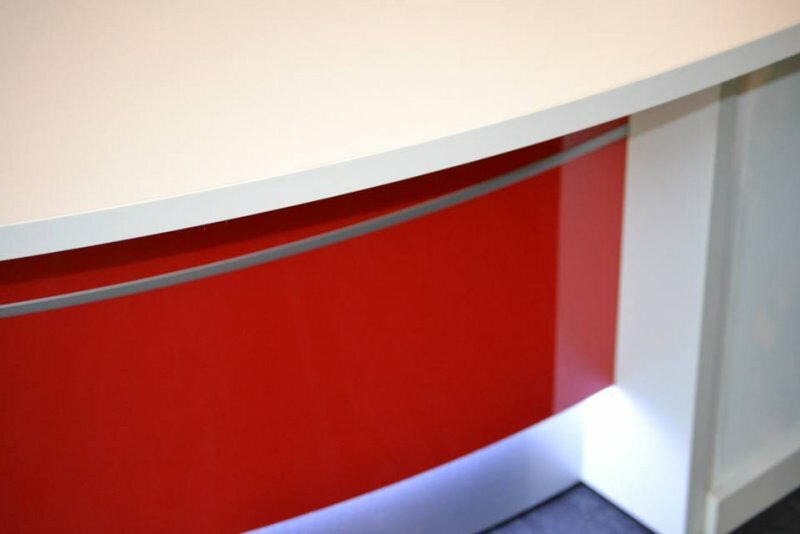 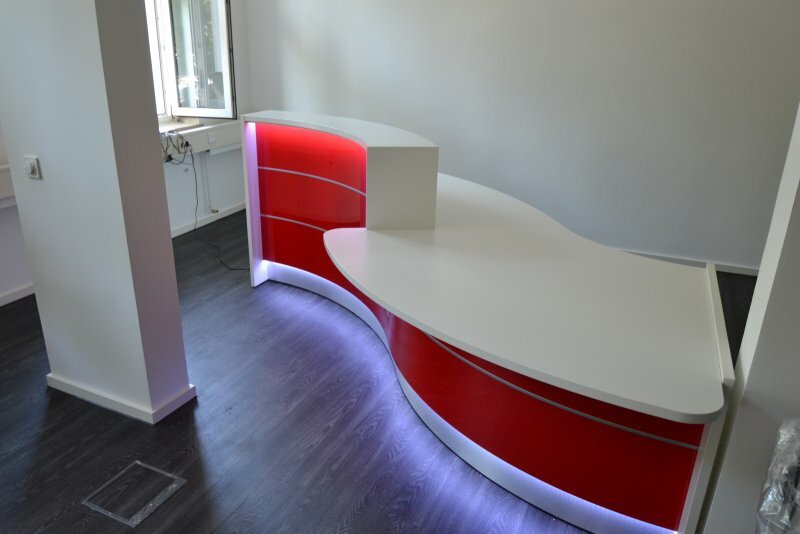 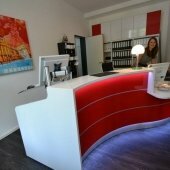 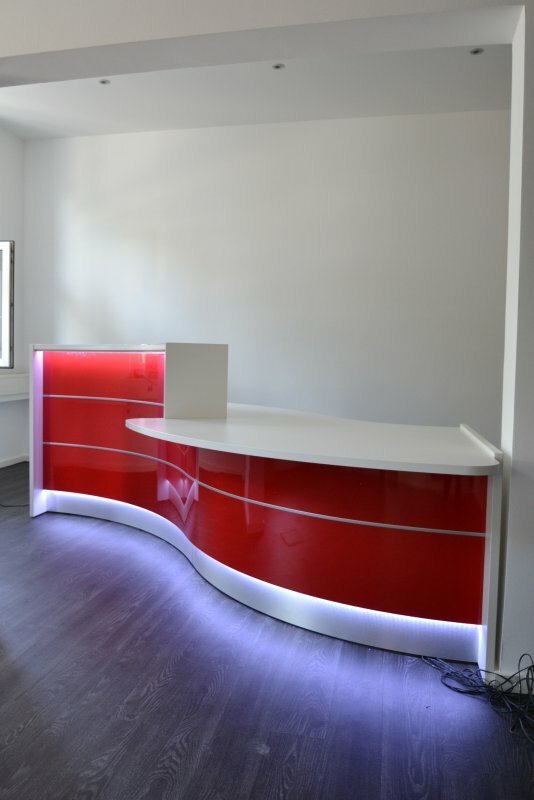 The reception was completely new designed and a highgloss red reception desk was mounted with LED in the front. 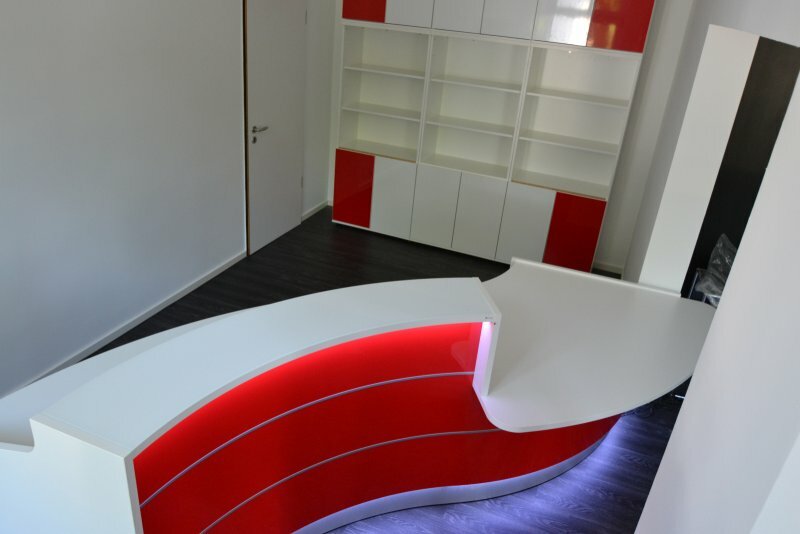 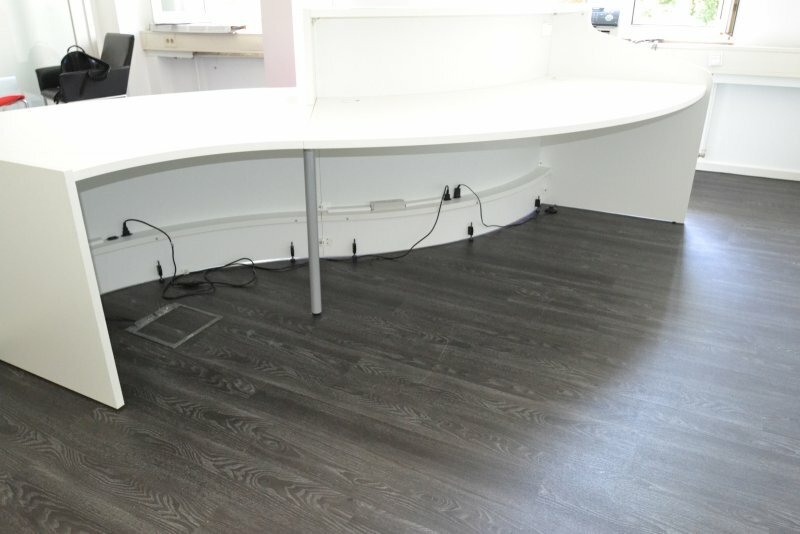 The new desk became in the same time a design element for the room. 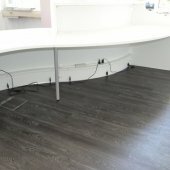 Additional we mounted a screenholder and a cashier draw.